(This image was a gift to Joanna Macy. Use permission is granted except for sale or compensation. This month, we have the honour to feature not one, but two great facilitators: Maggie Ziegler and Jackie Larkin are co-facilitators and deeply committed to social and environmental justice. They offer regular workshops in Southwest British Columbia and an annual retreat on Bowen Island. Maggie and Jackie have been working together for over 20 years. WTR: when did you become involved with the WTR? Maggie and Jackie: Maggie began facilitating workshops based on Joanna’s first book, Despair and Empowerment in the Nuclear Age in the 1980’s. In 2001 Jackie and Maggie attended an eight-day retreat with Joanna Macy in British Columbia. We both had many years of facilitation experience and were immediately inspired by the power of The Work That Reconnects. On the spot we committed to do this work together and began to plan our first retreat. We have been co-facilitating with each other since then. Both of us have had the privilege of attending several retreats with Joanna Macy including a magical month on the Oregon coast with Seeds for the Future. WTR: What groups do you work with? Maggie and Jackie: We don’t focus on a particular group, and although many of the folks who attend are activists, there are also people yearning for a way to be of service to life who are somehow held back. They are diverse in age, gender and sexual orientation, but people of colour, indigenous people and men are under-represented and we are constantly examining how to be more inclusive. We use our participant -supported scholarship fund to support diversity whenever possible. WTR: Tell us a bit about yourself, how did you become involved in the WTR and what role does it have in your life? 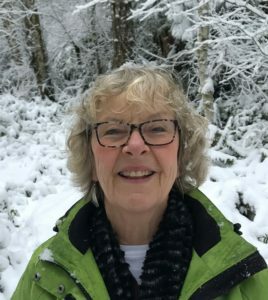 Maggie: I spent over 30 years as a psychotherapist specializing in trauma and abuse and working as an educator in this field, both in Canada and internationally. I have always understood that the broader contexts of our lives contribute to and form our personal pain and always been involved with social movements in some way. When I came across Despair and Empowerment in the Nuclear Age, around 1982, I was excited to find a way of naming and working through our pain for the world; I could see that it was a way to integrate the psychotherapist and activist sides of myself. Elements of TWTR then entered my psychotherapy practice and all the community based and professional trainings I delivered …all aspects of my life, really. 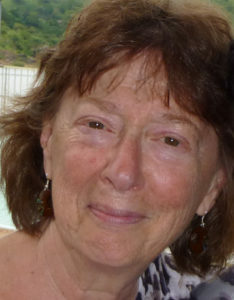 Jackie: In the many decades of my adult life I have been involved in social justice work, both in my volunteer activist life and when possible, in my working career: promoting women’s equality, supporting peoples’ rights to union representation and to fair and safe working conditions. The Work That Reconnects sparked a deep desire to work in service to the Earth leading to my engagement with Sierra Club BC and other environmental organizations in BC, and in the past few years to a passionate defense of The Peace River and Indigenous territory threatened with a massive dam. TWTR laid me wide up to my larger self: I fell in love with the earth again; was gifted with insights about ways to rebuild our earth connections; wrapped my deep grief with a felt sense of belonging, and reignited my belief that my activism is worthwhile, no matter the setbacks. WTR: What are you grateful for in the WTR world? Maggie: So much. The retreats with Joanna and the amazing people I’ve met there, my co-facilitation relationships, how TWTR and related processes informs everything I do – including helping me keep my heart open during recent years that I’ve lived in Rwanda – and how this work has rippled out over the years in my part of the world. I’m also grateful that the work isn’t ‘owned’ and that I’ve felt free to adapt the work to diverse settings. Jackie: What she said. What I said above. And for the daily loving of the world. WTR: What challenges and struggles have you experienced as a facilitator of the WTR? Maggie and Jackie: At a practical level, we are often the organizers, promoters, managers and facilitators of the work. This takes its toll. It’s always great when an organization invites us and takes on all this work! At a deeper level, the journey to making the work more inclusive is challenging. Understanding the biases and filters in our own colonial conditioning and inherent in TWTR itself is on-going, unsettling, and never easy. An important step was attending a gathering in Washington State a few years back that brought together white facilitators and people of colour facilitators for several days of caucusing and discussion. Co-facilitating with a First Nations woman challenges our world view, offers the gifts of indigenous ways of knowing, demands respect and humility as we work through the dynamics of power – sometimes difficult, certainly essential, learning and sharing. WTR: What has been the most difficult moment in your journey through the WTR? Maggie and Jackie: We can’t define specific moments but honour the on-going challenge to remain as fully present and authentic in all the work that we lead. WTR: What are your next steps in this Work? Maggie: I have retired from psychotherapy and a nine-year relationship with Rwanda (working on peace-building projects) is coming to a close. TWTR continues to excite and nourish me personally and feels more necessary than ever in this time of climate destabilization. I’ll continue with workshops and retreats, and engage with other opportunities as they come along. Jackie: To do whatever will help bring this work to diverse communities. This requires that it changes to be relevant, that it opens itself to diverse needs and that it ceases to be led by two wonderful, aging white women. Thus, supporting and mentoring new leadership in TWTR. WTR: What would you say to someone who is new to the WTR? Maggie and Jackie: Something brought you to this workshop: a seminar, book, a yearning, whatever. Trust that. Dive in. WTR: What recommendations you have for new facilitators? Maggie and Jackie: Do the practices yourself on a regular basis. Support TWTR processes by learning facilitation skills. Bring your head and your heart to your work, meaning, stay emotionally open while also analysing the activities and what you’re doing. Hang out at your edge but don’t push yourself over it. WTR: Do you have a favorite practice? Why? Maggie and Jackie: Impossible to answer! Different practices speak to needs within us and within a group at different times. And sometimes we facilitate the practices in different ways. We can say that the grief and rage we carry in ourselves often feels stuck, so we’re always up for anything that supports accessing sorrow and pain. We also love practices that deepen our connection to the other than human world and draw on many sources for these. WTR: In what languages do you facilitate? WTR: where are you located? Maggie and Jackie: Most of our work is in southern coastal British Columbia, where we live, but we are open to working anywhere. WTR: How many workshops and/or events WTR focused do you run a year? Maggie and Jackie: We facilitate a yearly residential retreat and lead one or two weekend workshops/year, sometimes facilitating with two talented younger women, Heather Talbot and Olive Dempsey. We love the opportunities to share facilitation across generations. We have also begun working with a First Nations woman, Maxine Matilipi, as part of our commitment to exploring how we can decolonize ourselves and the TWTR. WTR: do you have a website? WTR: Do you have an upcoming event? Maggie and Jackie: Yes! 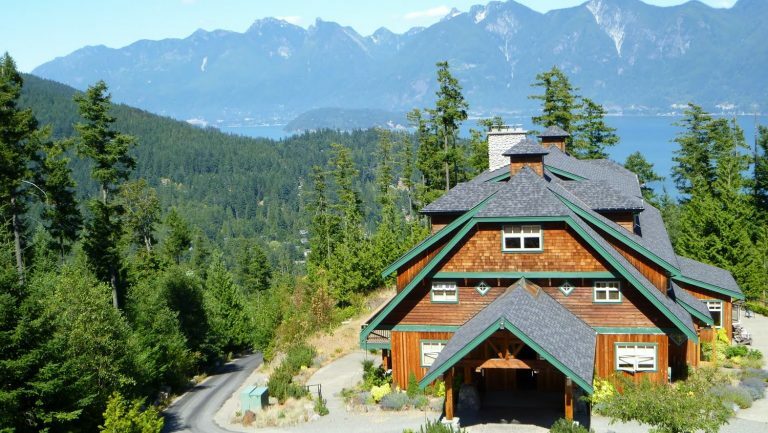 Reconnecting to Life: a residential retreat on Bowen Island, Coast Salish Territory, British Columbia, July 5th to 9th. You can find out more on our website www.reconnectingtolife.org (we are in the process of updating this but basic info is there) or you can email [email protected]. WTR: Are you available for mentoring others? Maggie and Jackie: Sure, we are open to discussion about what this might look like for someone. WTR: How can people starting in their facilitating path connect with you for mentoring? Maggie and Jackie: We suggest that people attend an event that we are facilitating, to gain an understanding of who we are, how we facilitate, and how we approach the work. Then we are open to conversation about what mentoring might look like for that person. WTR: Are other facilitators in your area? Who are they? Maggie and Jackie: Olive Dempsey and Heather Talbot. Others, most of whom have attended one or more of our workshops are beginning to seek out ways to offer the work. Maggie and Jackie: We’ve said more than enough! On behalf of the Work That Reconnects global community, the Weavers of the Work That Reconnects Network invite facilitators and practitioners of the Work around the world to come together in Bioregional Gatherings to be held between September and November 2019 (or if need be, online). These Gatherings will build community and support for our work in the world at this time of converging crises. Meeting in “nodes” of our Gaian network, we aim to activate our immune response in the face of climate chaos and the collapse of living systems, as well as the ongoing racism and oppression in all its forms. 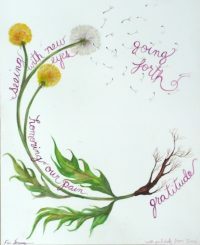 Through the Work That Reconnects, we can deepen our connections with each other, share our stories and pain for the world, and nurture our creativity and resilience to serve the web of life on Earth. The vision of the Work That Reconnects Network is to weave an international network of WTR facilitators and practitioners who support each other in offering this powerful Work more broadly in the world. These 2019 Bioregional Gatherings will build momentum for larger Work That Reconnects Gaian Gatherings held around the world, linked via video Internet connections, with the first envisioned for 2020. Gatherings will take place between September and November of 2019, in-person and online (if need be). Gatherings will be co-led by people who have experienced the Work That Reconnects and understand it, including facilitators, emerging facilitators, and practitioners of WTR. Each WTR bioregion will organize and fund its own program and logistics. Before and after the Gatherings, co-creators around the world can share hopes and dreams, plans, ideas, funding resources, and outcomes via periodic Zoom calls. Who you want to invite and how. How to make your Gathering truly inclusive, without barriers of cost, accessibility, scheduling, or other logistics. Include a journey through the Spiral of the Work. Share new or adapted practices. Address the deeper questions folks in your area may be pondering–for example, possible collapse of social, political and the living systems of Earth. Identify the unique contributions the Work can make in your region of the world today. If you are interested in helping co-create a WTR Gathering, please fill out this questionnaire. Your information will be shared with co-creators of other Gatherings to expedite collaboration. Join one of the following Zoom calls with other Gathering co-creators from around the world. We will send Zoom links to all who respond to the questionnaire. Reach out to fellow facilitators and practitioners. Look at the WTR website maps to find WTR Facilitators and Regional Hubs in your area. Once your Gathering is all set, please post it on the WTR website events page. If you have questions, contact us at: [email protected]. Thank you for your ongoing work for the Great Turning. We hope these Gatherings will energize your work, connect you with others in our global community, and initiate new avenues for offering the Work That Reconnects to people everywhere as we struggle with the converging crises of today’s world. The WTR Network Weavers are a team of volunteers who came together in 2015 to connect and support WTR facilitators around the globe through the Work That Reconnects website and online outreach. The Network is growing and evolving to meet the needs of earth and WTR facilitators. 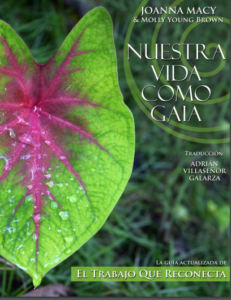 We have distributed 35+ free PDF’s of the translation to Spanish of “Coming Back to Life”, and received emails from all Latin America and Spain expressing gratitude for this gift and the big need for the work to spread to their communities. We are now looking at plans to create a multi-language database of resources and have language corners in our website, with potentially a dedicated newsletter. We are looking for volunteers collaborators from the WTR Network practitioners and facilitators to co-create a Spanish corner in the website, the newsletter and the Deep Times Journal. Other languages are also welcome. For more information and to get the full PDF, connect with us at: admin@workthatreconnects.org attention to Silvia, our Network coordinator. Hemos distribuido más de 35 PDF gratuitos de la traducción al español de “Coming Back to Life” y hemos recibido correos electrónicos de toda América Latina y España expresando gratitud por este regalo y la gran necesidad de que el trabajo se extienda a sus comunidades. Ahora estamos considerando planes para crear una base de datos en varios idiomas y tener espacios de idiomas en nuestro sitio web, con un boletín potencialmente dedicado a otros idiomas. Estamos buscando voluntarios entre los practicantes y facilitadores de la Red del Trabajo que Reconecta para co-crear un rincón español en el sitio web, el boletín y el Deep Times Journal. Otros idiomas también son bienvenidos. Para obtener más información y obtener el PDF completo, conéctese con nosotros en: [email protected]ón a Silvia, nuestra coordinadora de la red. 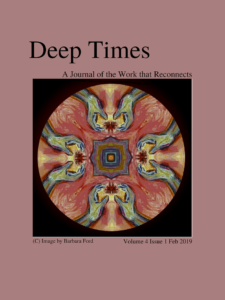 Receive notification when new issues of the Deep Times Journal are available as well as updates on the Work That Reconnects Network. I am in Relationship to What?